We conducted an air dispersion modeling study of particulate matter and dioxin emissions from the DuPont titanium dioxide manufacturing facility in DeLisle, Mississippi. The time period of interest was 1987 – 1999. 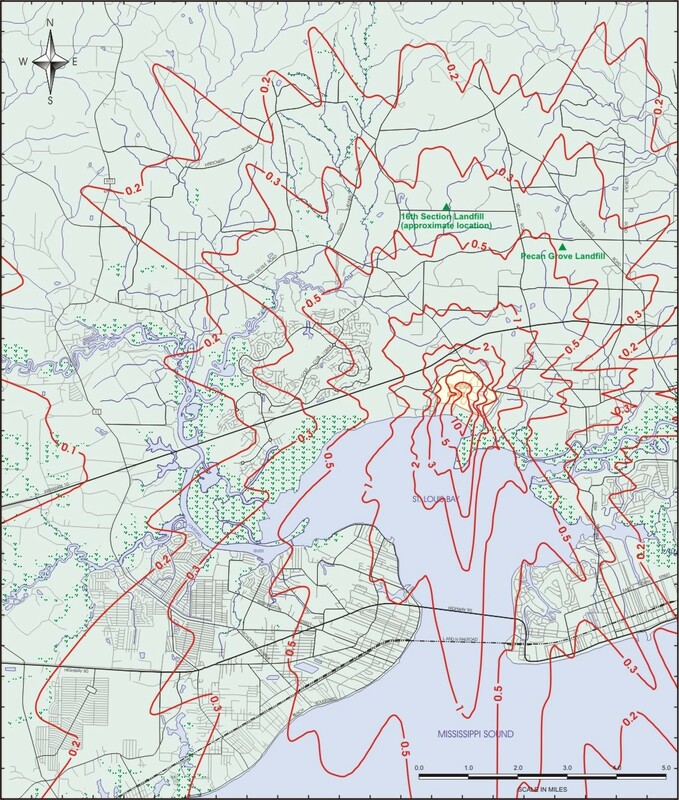 Shown below is an isopleth map depicting 1992 annual average dioxin concentrations in the vicinity of the Dupont plant. A high quality PDF version of the map is available here.